Tiny Fox Press LLC, 9781946501004, 266pp. 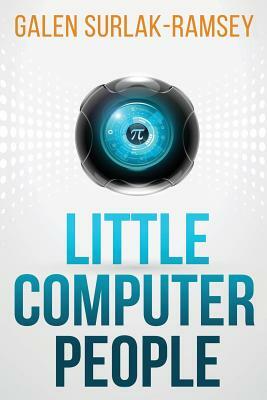 When Gabe created the world's first sentient program, Pi, he thought things couldn't get better. Now he's pretty sure things couldn't get worse. After a colossal error on Gabe's part, Pi turns into a binary monster along the lines of HAL, GLaDOS, and SHODAN. As she goes on the rampage, the only thing rendering her mostly harmless is the fact that she doesn't fully understand the physical world...yet. And unless Gabe quickly finds a way to rein her in or shut her down, the next time Pi starts a fire, it won't just be his empty house that goes up in flames. If you're a fan of Douglas Adams, Christopher Moore, or Neal Stephenson, then this is a novel for you.